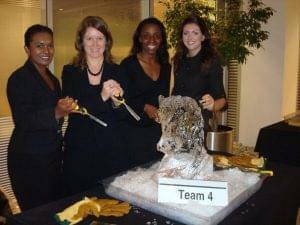 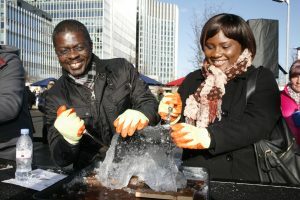 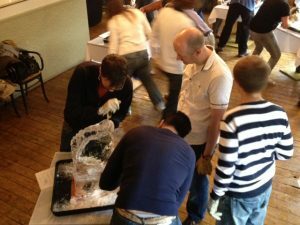 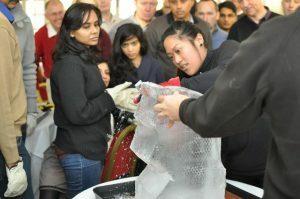 Ice Breakers is a truly unique ice sculpting teambuilding experience that gets people working together & having fun….whilst breaking the ice! 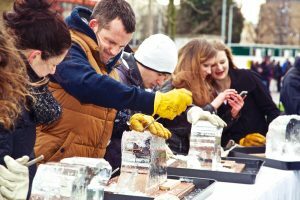 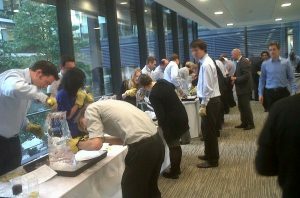 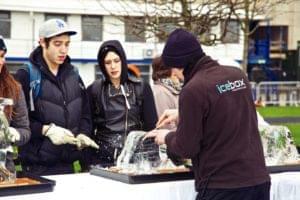 Icebox are the ultimate professionals, ensuring that the teambuilding activity fits into your event programme for the day. 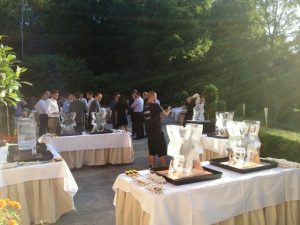 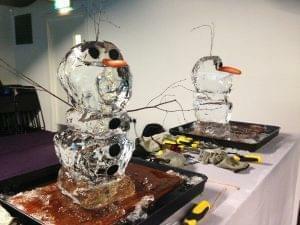 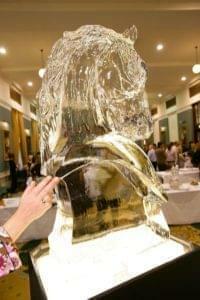 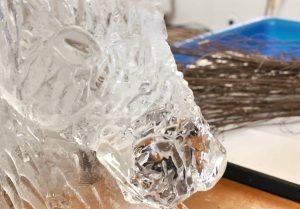 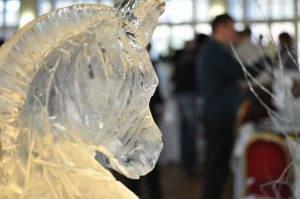 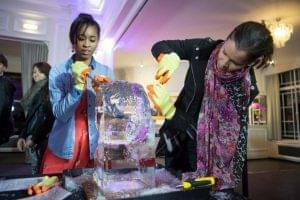 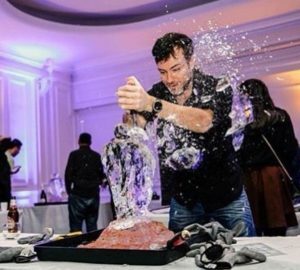 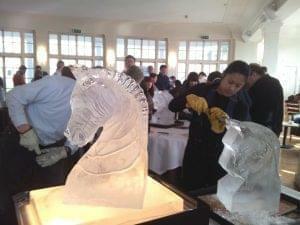 We operate this creative and artistic ice carving workshop to the highest of standards and are very experienced in making the event an exceptional, unique and memorable experience. 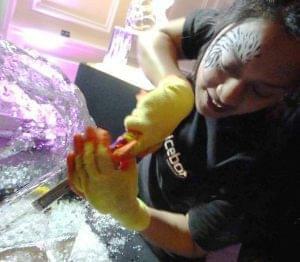 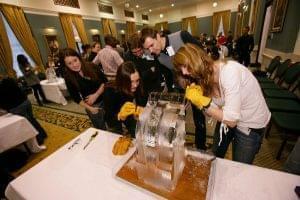 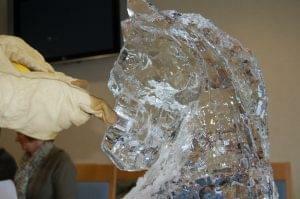 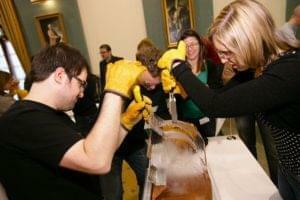 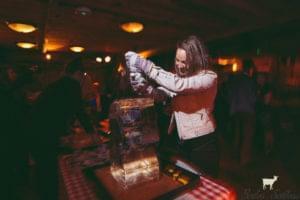 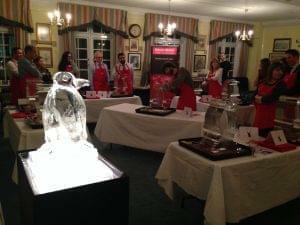 We split your guests into teams of 2 - 3, each team is given a partially shaped ice block, some gloves and a chisel. 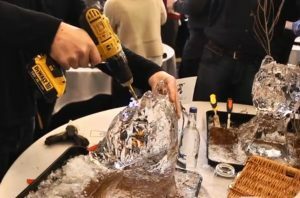 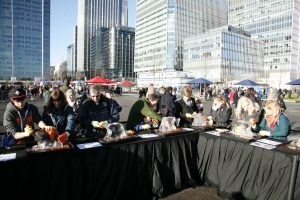 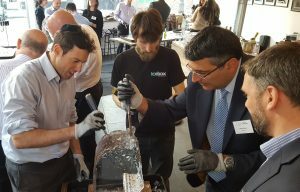 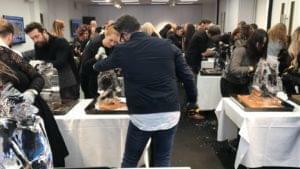 Our Ice Expert gives a quick demonstration and then against a tight deadline, guests have to learn to work together, listen to each other and get creative. 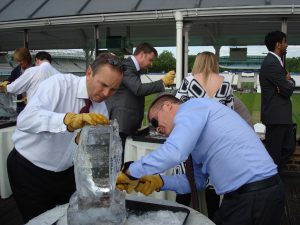 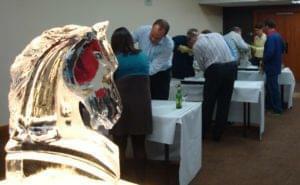 It's a fantastic test of team work, in a fun environment, doing something that is far away from everyday working life! 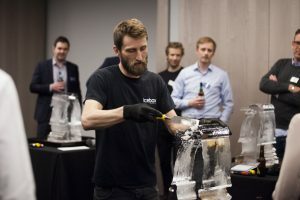 The ice is always watching! 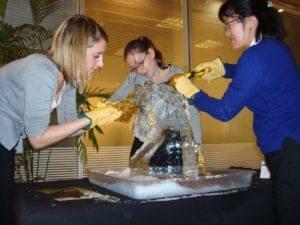 The Icebreakers teambuilding packages last either 1 hour to 3 hours and we are available to take our team and equipment anywhere in the UK and Europe. 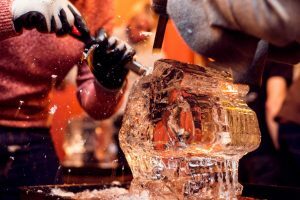 Our world-renowned Icebox Sculptors travel to you and provide all the necessary materials and guidance to create a truly memorable teambuilding ice sculpting experience. 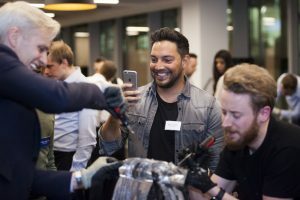 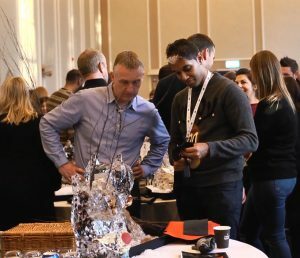 Icebreakers teambuilding has shared its expertise with thousands of willing participants, from groups of CEO’s from global companies to regional sales teams. 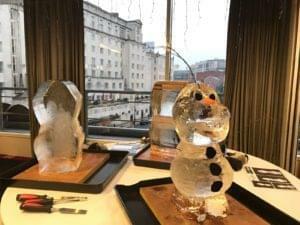 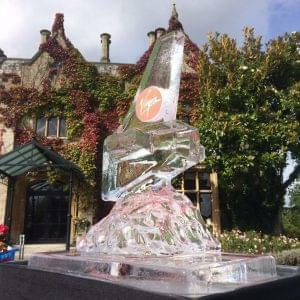 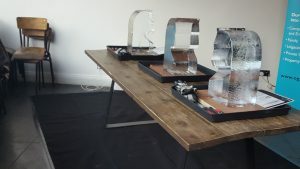 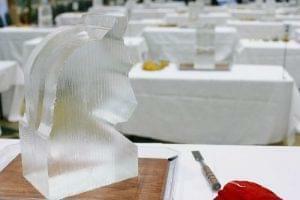 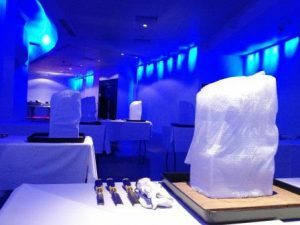 The team have been leading the way in the global and UK ice carving industry since 1993, working in corporate headquarters, hotels, conference centres, restaurants, bars and museums. 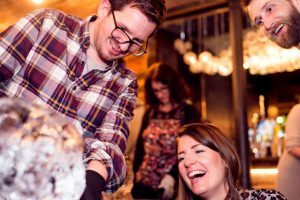 From Guernsey to Glasgow, we thrive on providing creative, innovative solutions to exceed our client’s expectations and believe Icebreakers is the COOLEST teambuilding activity around. 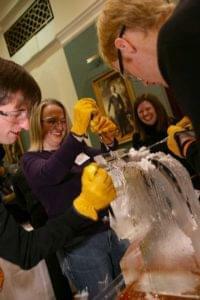 The workshops are fun, engaging and encourage individuals to work together as a team in a fun and relaxed way.